During the summer of 2012 I was invited to participate in Providence Row's Olympic Voices project, exploring homelessness and social issues around the London Olympics. People with experience of homelessness and members of the local community worked closely with producer Shiraz Bayjoo to create documentary videos, stories and photographic works portraying a unique historical viewpoint of the Games. The summation of this collaboration is on display at the Rich Mix gallery in London, from Wed 14 November - Wed 28 November. The free exhibition features a timeline of diaries, images, testimonials, and videos from project participants, plus contributions from members of the Crisis Skylight photography group. It is also part of the 2012 international photography festival Photomonth East London. Below is my short photo-story charting significant events during the Cultural Olympiad period 2008-2012, titled ‘Reaching The Tipping Point’. The piano soundtrack is by Alex Due, you can discover more of his CC-licensed compositions via his SoundCloud channel. Also there are some images from my photographic series documenting the ‘Passion and Performance’ seen on London’s streets during the Olympics. You can view more of these images with titles and annotations via this online gallery. Reaching The Tipping Point by David Holmes from David Holmes on Vimeo. 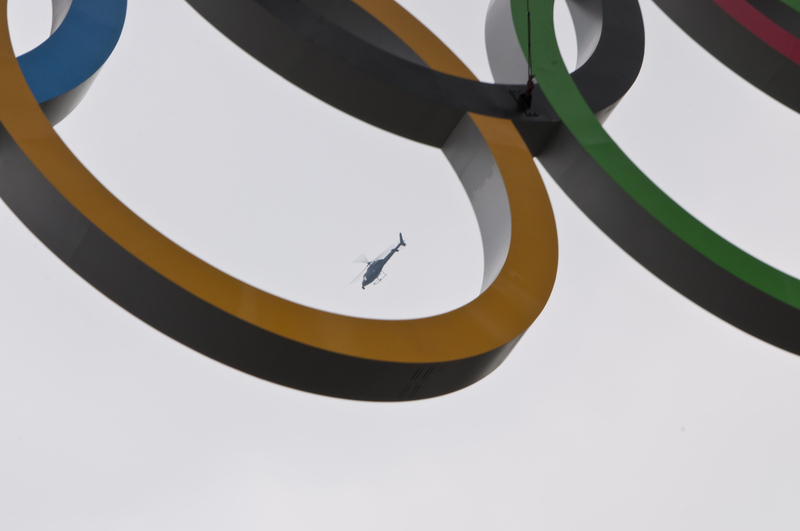 The London Olympics and Paralympics presented a range of photographic opportunities and viewpoints to explore. From changes in the environment cosmetically such as advertising, lighting, signs and symbols, to the way people behaved and interacted in public spaces. An unprecedented amount of events were taking place all over London, many of which were available free of charge to the general public. They included sporting occasions, art and culture exhibitions, street and theatre performances. Generally these activities conjured an atmosphere of good humour and togetherness often referred to as the feel good factor or people power. I regularly journeyed from east London to the South Bank to photograph the people and attractions there. Using public transport from my home to Tower Bridge and then by foot across the Thames, I would travel up the riverbank through Southwark to Lambeth and the Westminster Bridge. Between both crossing points there was much to see and enjoy by way of public shows and entertainment. I’m reminded of the parallels between a similar journey taken by Londoners some four hundred years earlier. People in Shakespeare’s time would have travelled across London Bridge to the Globe playhouse and nearby bear-baiting arena for entertainment. The bridge may well have been adorned with the remnants of another popular spectacle, that of public executions. These attractions were interconnected and in competition with one another. Incidentally many of Shakespeare's plays were originally staged at the Curtain theatre in London’s East End. Including the South Bank, I chose to photograph activities taking place in other popular locations across London such as Canary Wharf, Greenwich, Hyde Park, Kensington, and Soho. As expected, digital photography was commonplace during London 2012, as was the sharing of images via the Internet on social media platforms. The ubiquity of image devices made taking pictures quite an open and casual affair, more so than was usual in these locations and public spaces generally. Due to the large scale of these special olympic events I sensed a positive change in the mood of the public on the streets. I wondered if anything significant would come of this change in terms of something lasting, productive and beneficial. Perhaps a tipping point. Because of the immense organisational obstacles I felt people must have learned much about the nature of cooperation and that this would be to the common good. It was clear that the Games and any direct legacy would prove historically enlightening to later generations. Big thanks to OV producer Shiraz Bayjoo, all the dedicated project participants, the helpful staff at Providence Row and sponsors Reed Smith. Also to Crisis creative arts manager - Paula Lonergan. Malcolm Gladwell's book about the tipping point phenomenon is a popular read and his 2006 article from the New Yorker 'Million Dollar Murray' sheds light on 'why problems like homelessness may be easier to solve than to manage'.